The licenses for applying to take up London black wagons are in a decreasing trend. Survey says that nearly 20 percent of applications have been reduced the strenuous procedures like taking exams, receiving badges etc. The way in which Uber has taken over is by giving not only mobile apps but also payment facilities through debit or credit card more than cash payments alone. And moreover, the prices offered is much less costlier than the normal taxis that runs in the London streets. 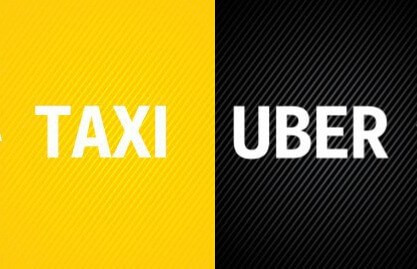 The complaint mainly is on the ‘The Knowledge’ tests that the traditional taxis has to undertake for the taxi drivers. It takes sometimes around two to four years of training on the traffic and street systems. This regimental procedure is quite easily replaced with the GPS technology to navigate through cities is what is creating a great commotion in the taxi business. People are more happy to welcome the new change and embrace the new technological phenomenon called Uber. Spread across 57 countries, its global earnings is estimated around $40 billion. The logical questioning here is why someone would wait to two or three years of training instead of earning immediately. Because the Knowledge test is an indigenous mechanism for the local taxi drivers. Therefore, there is a positive growth for the Uber vehicles in Central London. However, there are arguments that favour the taxi driving people too. GPS being just a tool and one cannot depend on the computer gadgets to guide the travelers in London. A driver who knows well about the city scapes and routes is much dependent rather than a machinery – is the other side of the argument. The knowledge test was introduced in 1851 because the drivers were not comfortable with the routes and the passengers were struggling. Meanwhile, Uber says that it brings good ratings for their drivers through the use of apps like courtesy, behaviour and the users can write comments on the standards of services too. In such a scenario, there is considerable protests against Uber in London and cities in Europe opposing its launch. Uber’s surge pricing methods were criticized but it was reasoned that it is maintained due to leverage drivers’ demand and idle time work. ← How Top Five Food Industries Take Orders Through Mobile App?